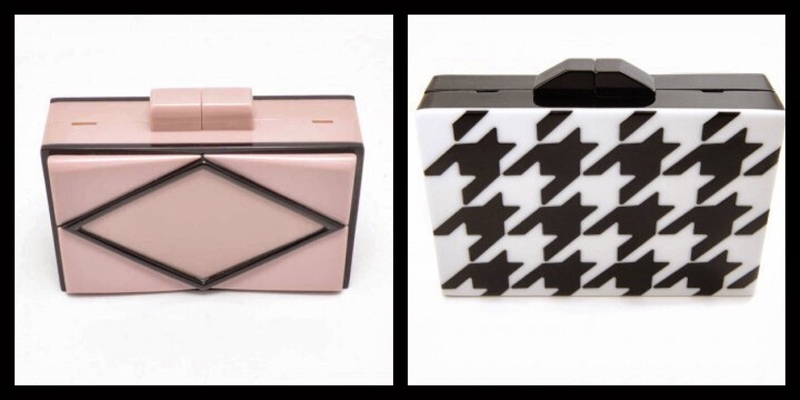 This season's hottest handbag is the clutch. 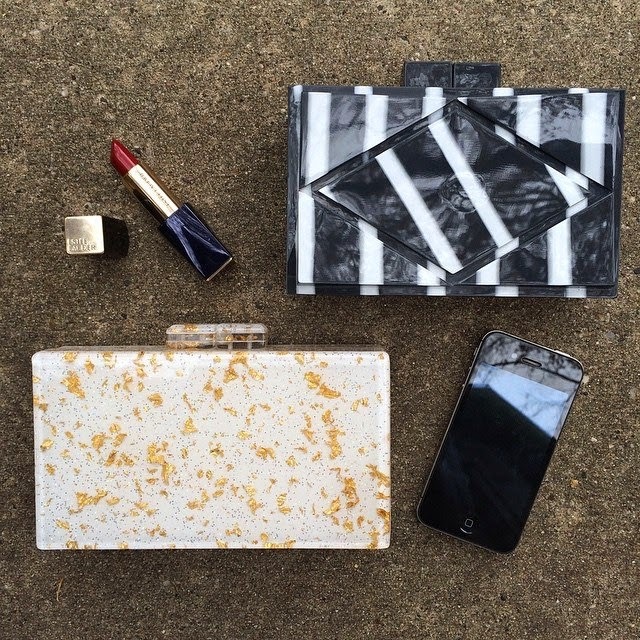 And the must-have clutch is an acrylic bag. Some are square, some are rectangular, some are random shapes like lips or cat faces. But the one thing they all have in common is the hard acrylic shell they are made from, making these bags a piece of 3D art. The only problem with acquiring Fall's most enviable accessory is the price point. Want top-of-the-line bags from Charlotte Olympia? Get ready to shell out upwards of $1200+. Fret not, fashionistas! I have found a local manufacturer who is offering these hot, hot, hot hand bags at affordable prices. Black Beauty Accessories website is chock full of amazing deals on necklaces, earrings but their Noire Bella handbag collection is what caught my eye the other day. 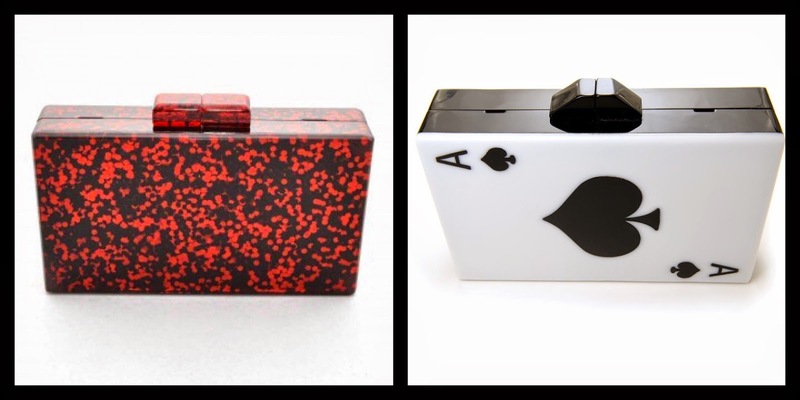 Ranging from $100-$135, BBA's acrylic clutches come in a fun array of styles and colors. Buy a couple of hit, the town in style and be prepared to talk to total strangers because these bags are conversation starters!